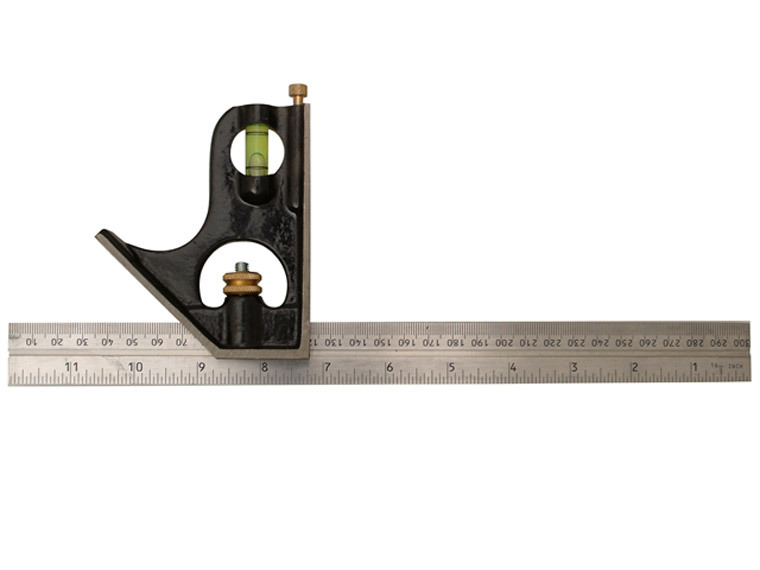 This combination square has a cast iron stock and is therefore more robust for heavy-duty use. It is fitted with a level and scriber. Has graduations on both sides of blade in mm, 8th's and 16th's inches. Size: 300mm/12in.